For Immediate Release - January 28, 2019, Milford, CT -- After a successful inaugural season finishing third overall in the TCR class of the Pirelli World Challenge, FCP Euro is partnering with Corteco for the re-branded TC America Championship in 2019. The team will again compete with their two 2018 Volkswagen GTI TCRs. 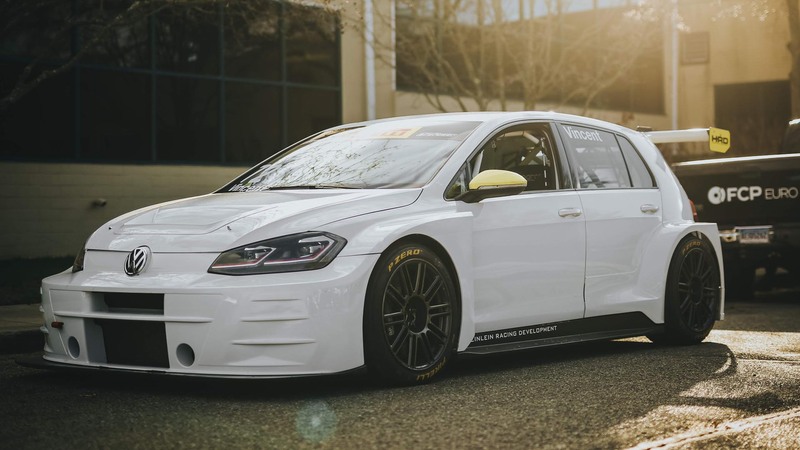 FCP Euro's Marketing and Brand Director, Michael Hurczyn, will pilot the #71 while 2018 TCR Class Rookie of the Year and FCP Euro Director of Motorsport, Nate Vincent, will pilot the #72 towards their second season of professional touring car racing. "FCP Euro provides a fun platform for Corteco to highlight its product offering in their race cars," says Corinne Ross, Commercial Director at Freudenberg-NOK. "FCP Euro is a great promoter of their key vendors. This opportunity came at a critical time for us, as we work to raise general brand awareness and a strong following for our OE products. FCP Euro won't sell you anything they wouldn't put on or in their own cars and Corteco shares those same convictions. Our pedigree in OE sealing, cabin air filters, and vibration control validates the claim that we extend that philosophy on toward our customers." Excitement is high leading into the 2019 season for both Corteco and FCP Euro. The TC America Championship TCR class is splitting into two classes for the new season; the first being a full global-spec TCR class for cars with sequential gearboxes, and the second being a TCR Cup solely for the Audis and Volkswagens running DSG gearboxes. The FCP Euro Volkswagen GTI TCRs will be in the former category, after taking delivery of two brand-new sequential transmissions to compete with other manufacturers at the front of the pack for the top spot. Corinne Ross adds, "Motorsports is a new avenue with massive growth potential that Corteco can take advantage of. We look forward to being in front of FCP Euro customers and enthusiasts who share in the total experience during the race weekends. FCP Euro brings energy to every event they're at; their booth was consistently one of the busiest during last years Pirelli World Challenge, and will be a staple in TC America paddock this year. They were extremely competitive in their inaugural season and the opportunity to sponsor a winning team for this upcoming season was too great to pass up." Corteco is one of the leading suppliers of components for the Independent Automotive Aftermarket. As a member of the global Freudenberg Group, we supply over 26,000 products in OEM quality. Independent garages trust in Corteco spare parts and therefore benefit from the original quality made by Freudenberg. Corteco has manufacturing plants/ distribution centres in over 17 different countries, but through the Freudenberg Group, we reach customers in 60 countries around the world. For more information, visit www.Corteco.com.